The TV shows that helped define the baby boomer generation, according to Journal Star TV critic Jeff Korbelik. 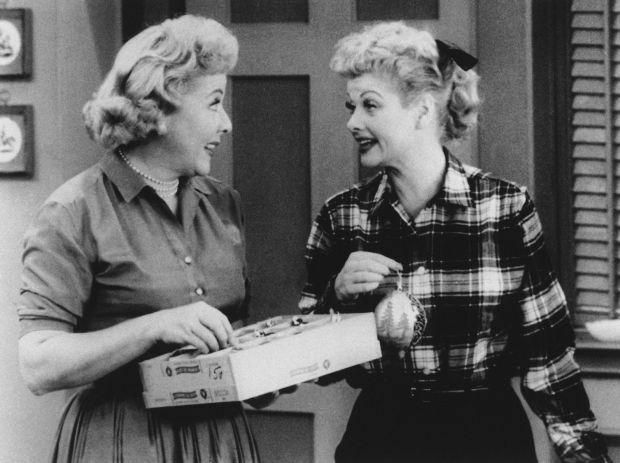 “I Love Lucy” (1951-57) -- The Lucille Ball vehicle proved to be the first successful sitcom, remaining viable years and years later in syndication. “Saturday Night Live” (1975-present) -- Boomers first watched the “not ready for prime-time players” on the live sketch comedy show and then followed Bill Murray, Jane Curtain, John Belushi, Dan Ackroyd, Eddie Murphy, Adam Sandler, etc., to their big-screen projects. “General Hospital” (1963-present) -- Before cable came along, daytime shows were almost as popular as prime-time fare, with this soap top among them. Who can forget Luke and Laura and how their 1981 wedding attracted 30 million viewers. “Sesame Street” (1969-present) -- Many boomers either watched the children’s show or raised children on the popular public television series. “The Tonight Show Starring Johnny Carson” (1962-92) -- Carson ended boomers’ days with humor and more. Nobody since -- not Leno, Letterman, Kimmel, O’Brien, etc. -- has done it as well. “Gunsmoke” (1955-75) -- The western was appointment TV for boomers, topping the Nielsen ratings for many years during its run. “Seinfeld” (1989-98) -- When Jerry Seinfeld performs Jan. 8 at the Lied Center, expect the crowd to be primarily filled with boomers, who appreciated his show about nothing. “The Ed Sullivan Show” (1948-71) -- The variety show introduced us to Elvis and The Beatles. Enough said. “The Cosby Show” (1984-92) -- This was more than an African-American comedy, it was a family comedy, with many of us identifying with the Huxtable clan. “60 Minutes” (1968-present) -- The popular news magazine show gave us in-depth reporting and is part of the reason CNN, Fox News and other cable news channels exist today. “All in the Family” (1971-79) -- It’s doubtful the things that Archie Bunker said would fly on broadcast TV today -- cable, yes, but not on the broadcast networks. He was a symbol of the changing times. “The Mary Tyler Moore Show” (1970-77) -- This was the first series to really show a strong independent woman in the working world … a sign of the times and common now. “The Sopranos” (1999-2007) -- Tony Soprano was a gangster. He also was a son, husband and father and struggled in those roles. So much so that he needed therapy. Many boomers could relate. On Dec. 31, 2014, the last of the Baby boomer generation turns 50 years old.